1706 Lake Woodmoor Dr. - map it! 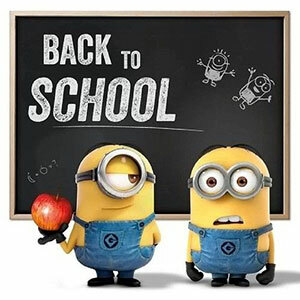 Friday and Saturday: 10 a.m. - 6 p.m. The Monument Friends Book Store is open during regular Library hours. Contact strecker_angela@yahoo.com for more information. 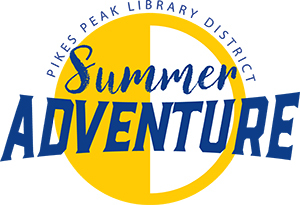 Click here to learn more about the Friends of the Pikes Peak Library District. 2019 Jean Ciavonne Poetry Contest Winners Announced! Mayah Bolenbaugh - "The Essence of Warmth"
Eva Goroski - "Bioluminescent Beach at Night"
Brody Karr - "Papayalulu Paradise"
Sally Peterson - "The Mystical Land"
Jana Yuschalk - "Darkling Dwabidisador"
Look out! What’s that I hear? It’s Papaya Juice Falls - better stay clear! What’s that sound I cant ignore? Papayalulu is oh so grand! It glistens and it gleams. Or toss and turn in vain. In my one-man twinbed plane. And pass the moon and sun. To have some dream like fun. A lovely sight I see. Stretched out in front of me. If you look to the west. And a town where you can rest. That are floating in the breeze. And hear the rustling trees. By a woman clad in white. Of this land of truth and right. With a shiny marble gate. And she told me all the news. Where the buildings stand so tall. From the big to really small. And feathers on their shoes. Are wafting towards my face. Where a man was selling food. Some were red and some were blue. And in the fields they grew. The red flowers were the largest. The blue flowers were large, too. The yellow flowers were tiny. My favorites were the blue. And smooth and cool like milk. For they would match my blooms. And saw a little dog. He was not like mine at all, though. My dog is brown like a log. But this dog had new colors. This dog was so bright! So were all the other dogs. It was a crazy sight! Until I heard them speak. I fought the urge to shriek! And I turned in surprise. And it was getting late. When I walked up to the gate. The gates were swiftly opened. We ran to a bench and sat. And hear the robins chat. Said the Queen “Oh heaven help us. And I couldn't calm my heart. The room of the great feast. And for meat they had roast beast. Were invited here to dine. Then sat and ate and ate. As I cleaned off my plate. A toast was to be done. And quickly I woke up. Not knowing in the morning what I may fight. Wondering what would fill my day. Surprised and frightened, I immediately felt. Suddenly, I wished I could just melt. It seemed so sunny without any rain. From jumping creatures who seemed insane. The so-called “Dwabis” had a mane. I was informed, this was Dwabidisador. Wow, I really need to study by geography more! The Dwabi’s legs were awfully long. They jumped then fell, I am not wrong. The sound of jumping pounded the ground. Their favorite hobby was jumping. That I found. The language they spoke was also Dwabidisador. At least I don’t need to study my languages much more! “Dwabi fell down,” they said over and over again. A Dwabi whose name was Filabind. The smell was so sweet I thought I would pop! All that was better than the taste, was the smell. It looked and smelled like sweet caramel. I was sure Dwabidisador wasn't fake. Then we departed and walked a long ways. We entered a place called “Dwabi’s Good Maze”. Before I knew it, I was back home on our farm. Trying to wake me up from my-dream? What it was, it filled me with gleam! 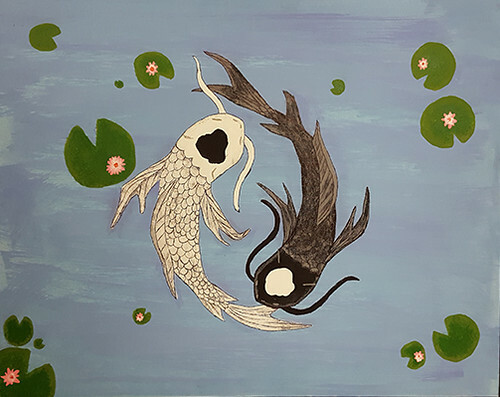 The theme for our 2019 Teen Art Contest was "Opposites Attract! " Here are this years winners, which you can also view below! “Poseidon’s Goldfish” by Cole R.
“Opposites Attract” by Isaiah R.
“A Spectrum” by Preston S.
“Concrete Jungle” by Ava K.
“Calm Before the Storm” by Lydia M.
“Strong and Courageous” by Chloe H.
Are you thinking about retiring in the next few years? Are you unsure about how health insurance and Medicare will affect you once you turn 65? 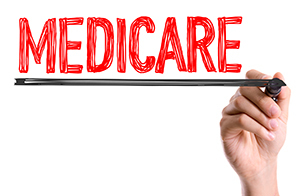 Are you helping your parents navigate their Medicare coverage? Join us to learn about Medicare and your health insurance options. Come get unbiased information from AAA Senior Insurance Team to help you successfully navigate your transition to Medicare and retirement. Limited positions available. Please apply by May 1, 2019. Applicants must be ages 12 - 18 as of June 1. If you require an accommodation to complete your application, please contact Young Adult Services at (719) 531-6333, x6087. PPLD is collecting the information on the volunteer application for the sole purpose of recruiting volunteers. Please contact Young Adult Services at (719) 531-6333, x6087 if you have any questions or concerns. Please see our confidentially policy for more information. 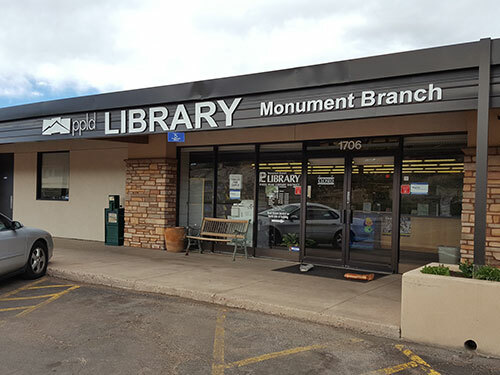 Pikes Peak Library District sparks development, opportunity, and inspiration for everyone across El Paso County. Whether you've got a young one who's learning to read, or you're a lifelong learner looking for a new skill, the library has something for you. We are excited to share stories of how the Library positively impacts the lives of our patrons. To tell your story, click here to take our short survey or use the hashtag #shareyourspark on Facebook, Twitter, or Instagram. PPLD sparks inspiration. In this video, hear Price Strobidge's story about how the library helped him become Poet Laureate of the Pikes Peak Region. PPLD sparks your opportunity. In this video, hear Allan's story about how the Library helped him improve his English language skills and provide him with GED test preparation. Read more about Allan's personal growth and development through the Library in this article from The Gazette. PPLD sparks your development. In this video, learn about how our children's areas are free, safe places that encourage development and growth. Stay tuned to learn how PPLD can spark your opportunity and your inspiration. Shirley Dale, PPLD's current Maker in Residence, has been creating in one way or another since childhood, applying this creativity in many different endeavors and careers. The joy of creating and the belief that everyone has the ability to create art have been constants throughout her life. 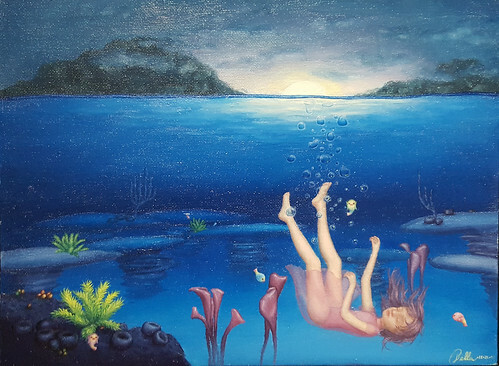 Shirley has worked with many different mediums as a teacher and artist, always finding exciting, creative possibilities with whatever art materials are at hand. She is currently working with acrylics for monotype prints as finished pieces, and also for use in mixed media collage pieces. She will be teaching classes throughout Pikes Peak Library District and hosting Meet the Maker in Residence sessions in the CreateSpace at Library 21c. Monotype prints are one-of-a-kind prints. Learn how to create these unique prints using different types of plates and paints! Experiment with stencils, masking, colors, and pressure. 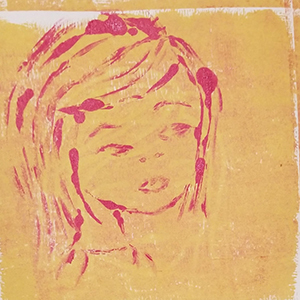 Attendees will gain an understanding of basic printmaking using simple, easy-to-find materials. More importantly, attendees will have lots of fun creating at this class and will leave with beautiful, unique pieces of art. Please help ensure that other patrons have the opportunity to participate in this program by only registering for one session. Sun., April 7 from 2 - 4 p.m. at Manitou Art Center, 513 Manitou Ave.
Visit with Shirley Dale and see her work on a special Colorado-themed printmaking project in CreateSpace at Library 21c. Wed., March 13 from 1 p.m. - 4 p.m. Thu., March 21 from 10 a.m. - 1 p.m. Tue., April 2 from noon - 3 p.m. Sat., April 13 from 10 a.m. - 1 p.m. Mon., April 15 from 11 a.m. - 2 p.m. The 2018 Teen Fiction Anthology is here! Click the link below to read the award winning stories from the 2018 Teen Fiction Writing Contest. PPLD's Repair Café is in need of BIKE fixers! 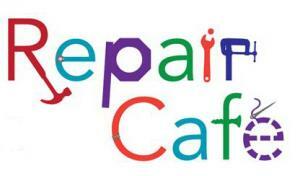 Fill out a volunteer application at ppld.org/repair-cafe or stop by your local library! Repair Café is a neighborhood initiative that promotes repair as an alternative to tossing things out. At a Repair Café you’ll find the tools and materials needed to repair your broken items, as well as knowledgeable volunteers who will show you how to do it. Repair Trainers will offer a diagnosis and suggested remedy for broken items, repairing items when possible and otherwise explaining what parts you may need to obtain to complete the repair. PPLD's Maker in Residence for January/February 2018 was Charlie Mussi, an award-winning retired photojournalist whose work has appeared in national newspapers, international magazines, and table-top books. In 2001, he was recognized as one of the world's 125 finest photographers and set out on a unique global photographic essay to record "A Day in the Life of the U.S. Armed Forces." 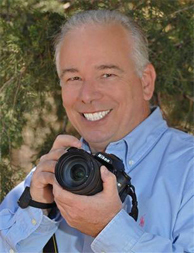 Since retiring, Charlie has rediscovered the fun of photography and enjoys teaching, coaching, and conducting photography workshops. In 2015, Charlie started the PPLD Community Photography Contest to recognize the amazing photography talent in the region. Charlie taught Digital Photography as Art & Play classes throughout the Library District, as well as hosted studio hours at Library 21c, where patrons could talk to him about his work. 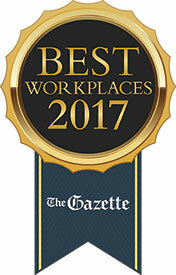 At an awards ceremony on Mon., Nov. 27, 2017 at the Antlers hotel, Pikes Peak Library District was named Best Workplace by The Gazette in the Extra Large Company (300+ employees) category. According to The Gazette, PPLD "ranked high among its employees in social responsibility, providing meaningful work, confidence in leadership, being a place workers would recommend to others for employment and operating with strong values and ethics." Here is a video The Gazette created, which was shown at the ceremony. 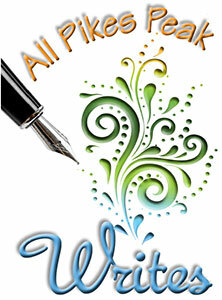 Congratulations to the winners of our first All Pikes Peak Writes, PPLD's adult fiction writing contest. You can read the winning entries by clicking here. Is math homework getting you down? Are finals freaking you out? Do you need to brush up before the ACT, SAT, GRE, or GED? 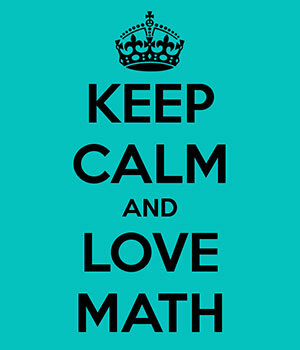 Our experienced math tutors can help you improve your grades and take the stress out of math. Tutoring for all ages and levels. No appointment necessary, just drop in! Wednesdays, 3:30 - 6 p.m.
Mondays, 3:30 - 7 p.m.
Fridays, 3:30 - 5:30 p.m. AfterMath won't take place during library or school holidays. Times and dates are subject to change. If the school district or library closes because of snow or weather, AfterMath is cancelled. PPLD's Maker in Residence in August/September 2017 was Deb Bartos, who has always been fascinated with new discoveries in the natural world and has been hiking and exploring for as long as she can remember. 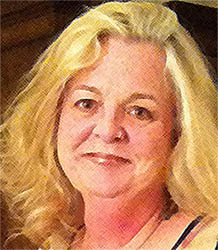 Rediscovering creative expression in painting as an adult has enhanced her learning to see even more in nature. 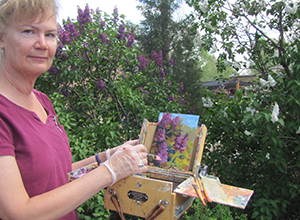 Her work is best categorized as realistic impressionism, as she captures light and color often on location in oil. To see some of her work, visit DebBartos.com. 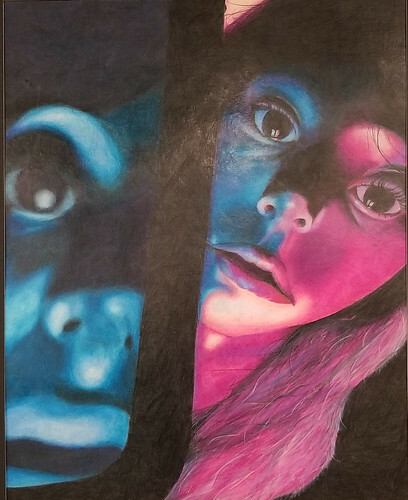 She will be taught Painting in Water-soluble Oils classes throughout the Library District, as well as hosting studio hours at Library 21c, when she discussed her work. The theme for our 2017 Teen Art Show & Contest was Transformation Teens were encouraged to show us how art impacts your life, or how it transforms the world around you. All of the artwork will be displayed at either Penrose Library, East Library, or Library 21c during the month of April. Questions? Contact Becca Phillipsen at (719) 531-6333, x6336 or rphillipsen@ppld.org. "Mirror Reflection" by Aleyah B. 1st Place: "My Fantasy" by Elizabeth W.
2nd Place: "Summer Sunsets" by Kaylee T.
Coordinator’s Choice: "Hands of Time" by Mary R.
1st Place: "Transportation through Time" by Liberty H.
2nd Place: "Evolution" by Mikayla R.
Coordinator’s Choice: "Coy Fish Pond" by Kristine B. 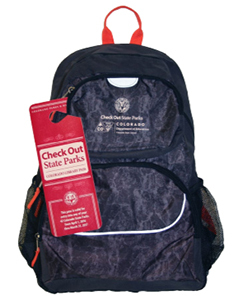 Reserve your free State Parks Pass and Backpack today by clicking here! This program is a partnership with the Colorado Department of Education, State Library, local library systems, and Colorado Parks and Wildlife. It is meant to encourage Coloradans to visit our State Parks and experience all of the great outdoor recreation that this state has to offer. PPLD's Maker/Artist in Residence for March /April 2017 was Linda Smith, an artist and art educator who started a non-profit while living in Kigali, Rwanda, called the “TEOH Project”, which provides cameras and art classes to children in Rwanda, Ghana and Bronx NY. She has been commissioned by the UN to provide photographic classes to survivors and former perpetrators of the 1994 genocide in Rwanda. She earned her BA from Syracuse University an MA in Communications at Goldsmith College at the University of London and an MFA from the University of Connecticut. Her work has been exhibited in the United Nations, embassies, and universities. PPLD now has Sorenson videophones and Video Relay Service-equipped laptops available for patron use. VRS allows people who are deaf, hard of hearing, or speech-impaired to communicate using American Sign Language through video equipment. It replaces TTY or Text Telephone. Videophones are now available at the East Library and Library 21c. VRS-equipped laptops are available at the following PPLD locations: Cheyenne Mountain, High Prairie, Manitou Springs, Monument, Old Colorado City, Ruth Holley, and Sand Creek libraries. Beginning Jan. 9, 2017, PPLD will no longer charge fines on overdue children and teen items. Removing overdue fines will provide greater opportunity for children and teens to use the full range of library services. Currently, 15% of children and teen cardholders are blocked from checking out items at the library due to overdue fines. Also, overdue fines on DVDs and games will be reduced from 25 cents per day to 10 cents per day. PPLD seeks to foster literacy and life-long learning for children and teens. The Library regularly evaluates policies to see what barriers for service exist and evaluates how to eliminate such barriers. The Library’s Board of Trustees approved the new policy at their December meeting. Items that will not accrue overdue fines must be designated as “juvenile” or “teen” in the Library catalog. The policy will take effect for any items checked out January 9 or after. Lost item and damage fees will still apply. 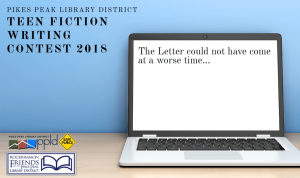 Overdue notices will still be sent as reminders to return Library items. 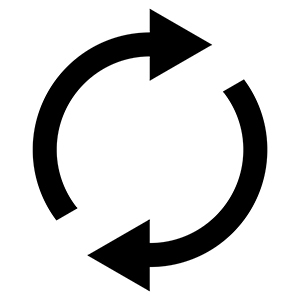 Items not returned within 21 days of the due date will be considered lost, and the full cost of the item will be charged to the patron’s account. 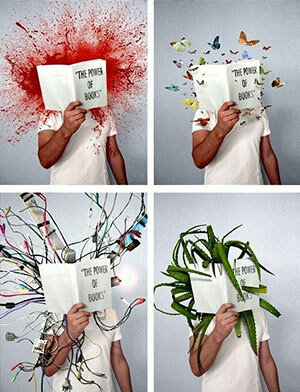 Have you read a really great (or really bad) book lately? Tell us all about it! Just fill out this book review form and your review will be posted in the Book Reviews section of ppld.org. 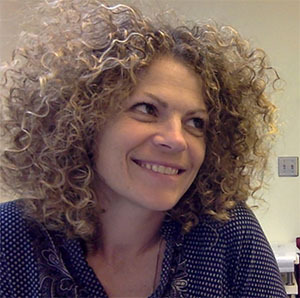 PPLD's Maker in Residence for November 2016 was Jo Hart. Yearning for a change from her Midwest living Jo moved to Colorado less than 18 months ago. 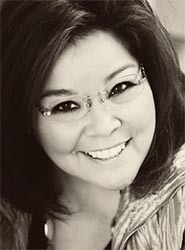 She earned her Master of Fine Arts degree in Ceramics and a Bachelor of Arts in Visual Communications. She has worked in the art and design fields throughout her career in the corporate, private, ad agency and not-for-profit sectors. Jo primarily works in clay making sculptural objects with a focus on feminine concerns. Recently she has been making utilitarian pieces and mixing multiple surface decoration techniques to create a balance between discord and harmony. Jo likes to make everyday and if she can’t she is sad. And of course, you can always email us at Ask a Librarian for assistance.